The patented Swiftech MCP Pumps are high reliability industrial designs featuring PWM control and a completely plug and play installation. The MCP655 Series pumps are high reliability, high pressure industrial pumps, featuring a 50,000 hour MTBF (5 year lifetime). 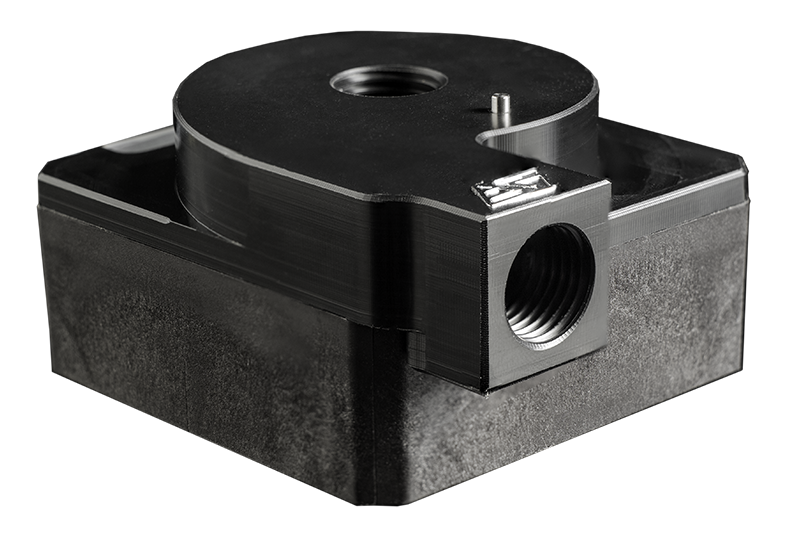 Such reliability is afforded by the unique design of the motor, which contains only one moving part: the magnetically driven spherical impeller spins on a single ceramic bearing, thus extending the life of this pump beyond existing standards. 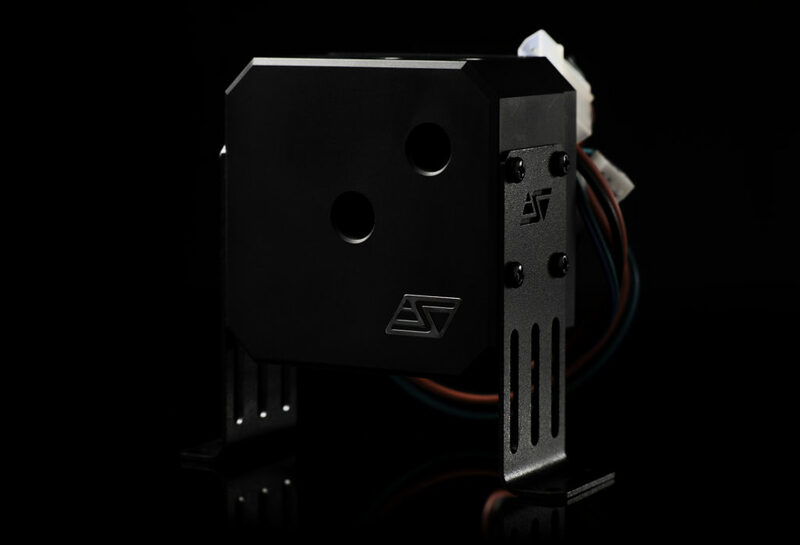 The pumps are completely plug-and-play, and connect directly to the computer power-supply with a standard 4 pin power connectors. Depending on the model, the pump speed can be varied using the Motherboard PWM control. The MCP655 series compact design, quiet, reliable and powerful motor make them ideally suited for heavy duty liquid cooling applications where quiet operations are essential. The MCP655-PWM-ACRYLIC and PCP655-PWM ACETAL mounting brackets allow installation of the pump in either vertical, or horizontal orientation. 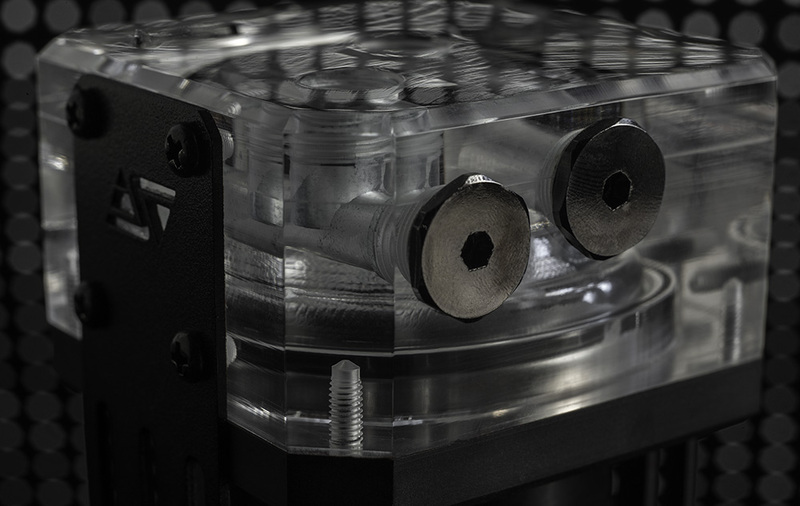 Four G1/4 threaded ports are present on the MCP655-PWM-ACRYLIC and PCP655-PWM ACETAL models, (fittings are not included): users can configure the flow path in 3 possible settings: 1/Inlet on the pump face, outlet on the side face, or 2/ Inlet and outlet on the pump face, or 3/ Inlet and outlet on the side face.